What do you understand as hair loss and Alopecia? We think about hair loss as having a single cause or displaying in a unique manner, but there are differences between the sexes and how hair loss presents itself. Let’s explore deeper. The medical term Alopecia simply means hair loss. There are some different types of hair loss partly because there is more than one cause. Read on if you'd like to know more about hair loss in men and women, how to treat and manage it. Hair grows continually everywhere on the body except the soles of the feet and the palm of each hand. Hairs may be extremely fine, especially with a woman’s skin, as to be almost unnoticeable. Nonetheless, it is there. Hair is created from keratin which is a protein in the body. The protein is found in the hair follicles at the outermost layer of skin on the body. With new hair cells created continually, old hair cells are expelled through the uppermost layer of skin to the exterior of the body at a rate of around 5-6 inches every year. For the typical man or woman, their head contains over 100,000 individual hairs and shed around 100 every day. However, many of the shed hairs go unnoticed – like the dead skin cells that create accumulated dust in the room that get cleaned away – but a few come out in the hair brush which is no direct cause for worry. If you’re a young person, know that up to 90% of the hair on your head is growing at any given time. Every hair follicle does its own thing. Hair doesn’t grow on autopilot though and is affected by your age, whether you have any diseases and several other factors that affect hair growth and hair loss. Telogen – A resting phase of 3 months. After this time, the hair is shed, replaced, and the hair growth begins anew. If you’re middle-aged or older, please note that hair will grow at a slower rate as you continue to age. Hair loss comes in many types, rather than a single type as many people tend to think. You or someone close to you may be suffering from the early signs of hair loss. Androgenic alopecia (or androgenetic alopecia) is one of the most common types of hair loss. For men, this is more commonly known as male pattern baldness, which is a condition that tends to start in the teenage years or through the early 20s, and progresses over time. The indicators of this issue are a loss of hair near the front temples, a slowly receding hairline, a loss of hair on the scalp, and the creation of a loss of hair at the crown (typically known as a bald spot). For women, the condition presents quite differently. Female pattern baldness is shown in women as a general thinning of the quantity of hair during their 40s or even later in life. The whole scalp is usually shown to be thinning, with a focus on the crown area at the back, rather than at the front of the head where it is more noticeable like with men. Telogen Effluvium: This is a hair condition where the hair on the scalp thins out because the way hair growth on the body has fundamentally changed. The essential issue here is the number of strands which go into the resting phase together and the subsequent loss of hair that happens quickly. Scarring Alopecias: This one results from skin problems either when young or older. Skin issues through inflammation like cellulitis, acne or folliculitis, or skin problems because of severe conditions like lichen planus or lupus, unfortunately sometimes leave scars on the skin. Unfortunately, the scars prevent the skin from sometimes regenerating and in these situations, hair is unable to grow in those areas. If you’ve unfortunately been a victim of a fire burn, then the same situation is likely to be found in areas of scarring. If you’re a woman who uses a hot comb or likes to weave your hair into tight arrangements, then you might want to think twice about this. Repeatedly pulling on the hair in this way sometimes causes hair loss which is permanent too. Trichotillomania is a psychological issue where the child pulls their hair out. This is a terrible habit that could cause damage to the scalp and hair loss then and in their adult life. 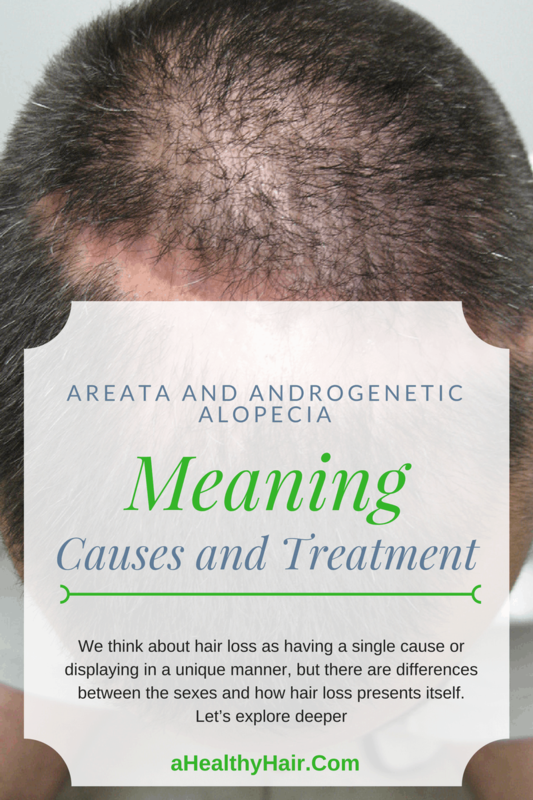 Alopecia Areata is something that affects either young adults or children alike. The sudden onset of hair loss is unpredictable. It sometimes shows as hair loss in patches or as a complete baldness (alopecia total is as described in the previous section). The good news is that unlike with other forms of hair loss, the condition in 90 percent of cases is temporary with hair growth returning several years’ later. It is a shame to learn that even trained doctors haven’t discovered the reason why some hair follicles keep growing while others have a shorter lifespan. Research continues, but there are no breakthrough discoveries yet. Hormones with androgen levels in either men or women being too higher and interfering with hair production. Genes from either parent are known to influence the likelihood of male pattern baldness or female pattern baldness in later life. The genes create a predisposition for the onset, but not a guarantee of it. Some people also say that this skips a generation and is reflected more on the grandfather from the father’s side of the family. Smoking is a lesser known cause of hair loss. Similarly, Illness, stress or childbirth is also a known cause of hair loss in men or women. A ringworm fungal infection can also lead to hair falling out, but once managed with medication, the hair grows back again. Injuries, burns or x-rays are all unusual causes of temporary hair loss. The extent of the burns or injuries and how they heal will determine whether hair grows back again. With burns, unless healthy skin pigmentation returns, hair usually cannot grow back as the hair follicles cannot penetrate the layer of scarred skin. With x-rays, the loss of hair is related to the scan and grows back later. 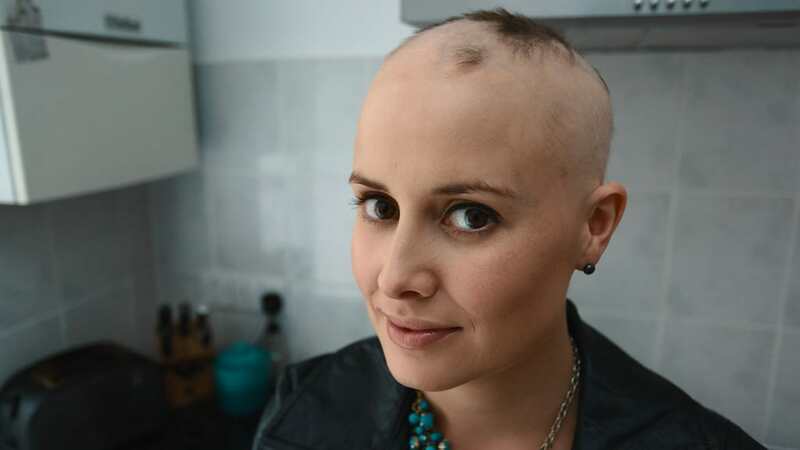 Other issues that cause hair loss are things like chemotherapy for cancer treatment, with hair growing back, where it once grew, once the treatment cycle has completed. Specific medication like beta-adrenergic blockers for blood pressure management, blood thinners, and even birth control pills may cause a hair loss for a period or while the prescription is being taken. Autoimmune disease also causes alopecia areata. With this type of medical condition, the immune system goes into overdrive and stops the hair follicles from behaving normally. The hair usually does return but is initially thinner and a different color. Beauty treatments like washing and shampooing hair too frequently, bleaching too often, repeated perms or dyeing hair all serve to make hair more brittle and likely to thin out. Using braids with a strong hair pull is not a good idea as this may damage hair follicles permanently too. Only in severe cases does tight hair arrangements lead to bald patches; usually just stopping putting hair into overly tight arrangements resolves the issue. Diet is also a less known cause of the problem with hair loss. A low-calorie diet which likely lacks the necessary vitamins and minerals that hair and hair follicles require or a low protein diet all contribute to depriving the body of what is needs for healthy hair growth and hair maintenance. The primary symptom with all types of alopecia areata is simply hair loss in one form or another. Hair typically is lost in small patches, commonly round patches, near the scalp area. The patches can be just millimeters but also a few centimeters wide in the worst cases. Hair loss is most often around the head and scalp area, but it is not uncommon to lose hair in other parts of the body too. The bodily hair loss may be under the arms, legs, pubic region, and the chest or back with men.